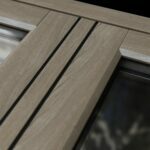 The award-winning Optima system offers two main systems in chamfered and sculptured variants, complemented with a heritage style flush casement system and a unique flush tilt and turn system designed to compete with aluminium, all of which have a familiar Profile 22 appearance for clear visual differentiation. The systems offer impressive technical innovations such as increased thermal chambers, deep drainage channels, a central eurogroove position, thickened walls around screw locations and a secure bead system. A wealth of glazing options, a wide range of ancillaries and an impressive colour selection add to the appeal. But when it comes to commercial contracts, the quality of the profile is only the start of the story. Profile 22 prides itself in helping specifiers to make the right choice of products for the specific application and project. 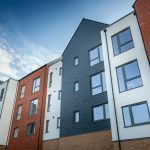 Its in-house and field specification teams work collaboratively with local authorities, housing associations, procurement consortia, house builders and contractors to assist with all aspects of project planning, design, product and supplier selection. Profile22 offer more than just a commercial system, it’s a commercial package. 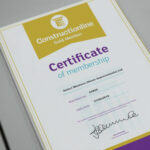 Examples of the services offered include advice on specifications and current Building Regulations, surveying and structural calculations, section drawings of the Optima system for tender documents, forward planning and budgeting advice, supplying sample windows for planning approval and National Building Specification and BIM support. Gerald concludes: “The expertise and proactiveness of our specification team makes choosing Profile 22 and Optima easy.” So if you are a fabricator working in the commercial market and wanting to secure more contracts, then Optima from Profile 22 could be the perfect answer. For more information on our products and services please feel free to call 01952 290910 or contact us HERE.